The irony is that the logo is meant to clear up confusion over the HTML5 moniker. And much like Apple, Google, and Microsoft before it, the organization that oversees HTML5 has confused it with all sorts of other web standards according to W3C tackles HTML5 confusion with, um, more confusion. 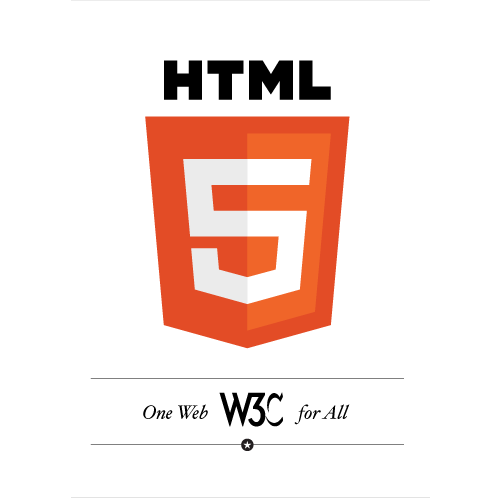 The W3C’s new HTML5 logo is a “general-purpose visual identity” that denotes HTML5, CSS, SVG, WOFF, and other technologies used to build web applications. The hype over HTML5 hit epic proportions last year when it was used in Steve Jobs’s jihad against Adobe Flash. Google had said much the same thing – except for the Flash-is-dead bit. Apple and Google have already grouped all sorts of non-HTML5 technologies under the HTML5 umbrella. Also Microsoft has joined this unreality. HTML5 seems to becoming “unhinged from reality“. W3C has stepped in to clear up the confusion. Except that it hasn’t. Please stop this. HTML5 is HTML. CSS3 is CSS. etc..
Ian Jacobs, the W3C’s head of marketing and communications, has conceded that the wording that accompanied Tuesday’s unveiling of the HTML5 logo may have confused some people and slighted others. The logo FAQ now explains that CSS3 is not part of HTML5. The logo still does not come with any certification or validation process, so anybody can slap the HTML5 logo on their web page regardless of whether they use HTML5 or not. You can hack the logo’s color and size to look the way you want, making it even more useless. And the logo is not officially endorsed by the W3C. This blog uses a custom made design. I think web traffic is key to improving pagerank by all means! correct me if im wrong. How goes it?. I just found this post and must tell you that I am truly amazed by the level of your content and writing.I feel like I spend far too many hours obessing about my own blog, but I’m just not getting any traffic. What is your secret? Thank you for your feedback where you are truly amazed by my contents. My secret on getting lots of traffic is good quality content, updated often, keep it accessible (keep it on-line all the time, reasonable load times) and good visibility on search engines. It has helped a lot that ePanorama.net has been a very high traffic site long before I started this blog. PS. By the way the URL on your comment does not work.